The Sigma DP2 Merrill is a slow, cumbersome, rather unrefined and expensive compact camera that's really only suited to static or slow-moving subjects. Despite all those major misgivings, the images that it produces thanks to the combination of the 30mm fixed lens and the intriguing Foveon X3 sensor are simply outstanding, by far the best images that we've seen from a humble compact camera and even rivaling a DSLR with an equivalent prime lens. The DP2 Merrill may not be the most lovable camera around, but it certainly takes great pictures. Image quality is the DP2 Merrill's star turn, indeed the principal reason to put up with its numerous other shortcomings. The Foveon X3 sensor, be it 46 megapixel or 15 megapixels, and the prime 30mm lens deliver stunningly sharp, high-resolution images that are a joy to behold. Chromatic aberrations like purple and green-fringing are simply non-existent on the DP2 Merrill, testament to the excellent prime lens, which is also the reason for the almost complete lack of pincushion or barrel distortion, and the fast maximum aperture of f/2.8 is very welcome. £799 / $999 suddenly starts to look like a bargain if you favour a slower, methodical approach to your photography. 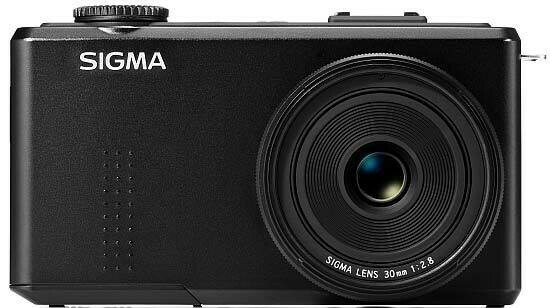 The Sigma DP2 Merrill is not a very good camera, but it is an excellent image-making device, so if you can put up with its many foibles and it suits your main subject matter, then we can certainly recommend the Sigma DP2 Merrill and its fantastic image quality.